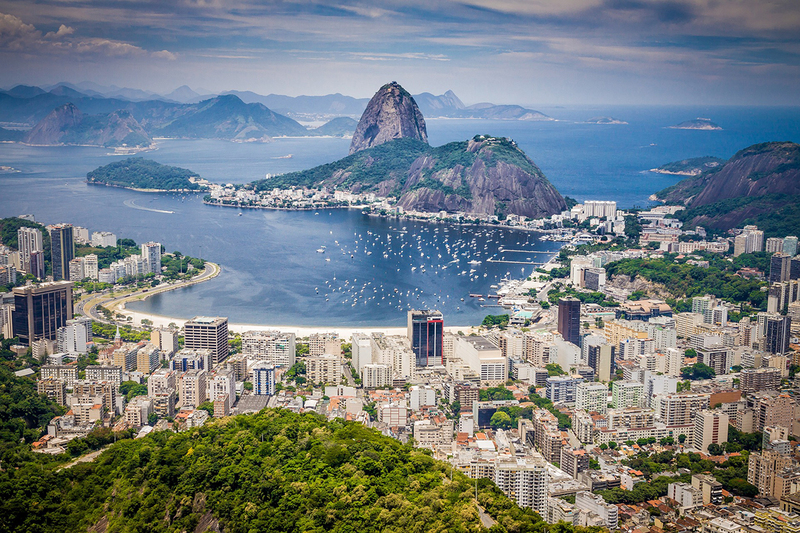 Rio de Janeiro has officially been named UNESCO’s first World Capital of Architecture. Created in partnership with the International Union of Architects (UIA), the designation will take effect in 2020 and will shine a spotlight on the Brazilian city’s local institutions and projects that offer urban solutions to the greatest issues of our time. According to UNESCO, the World Capital of Architecture will serve as an international annual forum to discuss global problems through the lenses of culture, heritage, urban, planning, and architecture. Throughout 2020, Rio de Janeiro will host a series of events organized under the theme: “All the worlds. Just one world.” The UIA will also host its triannual World Congress during the year-long event. Leaving UNESCO might seem like typical Trump isolationism, but the U.S.'s beef with the organization goes back to previous administrations. After UNESCO accepted Palestinians as full members in 2011, the New York Times reported that the Obama administration axed its funding. With no funds forthcoming, the U.S. lost its vote in the agency in 2013. The State Department briefly outlined its reasoning in a press release: "This decision was not taken lightly, and reflects U.S. concerns with mounting arrears at UNESCO, the need for fundamental reform in the organization, and continuing anti-Israel bias at UNESCO." 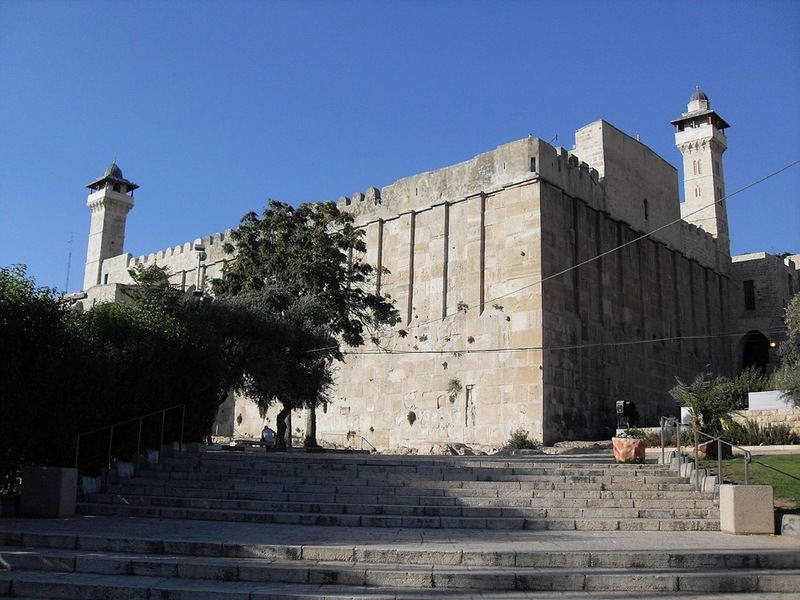 The Israel controversy re-ignited this summer after UNESCO named Hebron's city center a Palestinian World Heritage Site. The city, one of the world's oldest, sits in the Israeli-occupied West Bank. 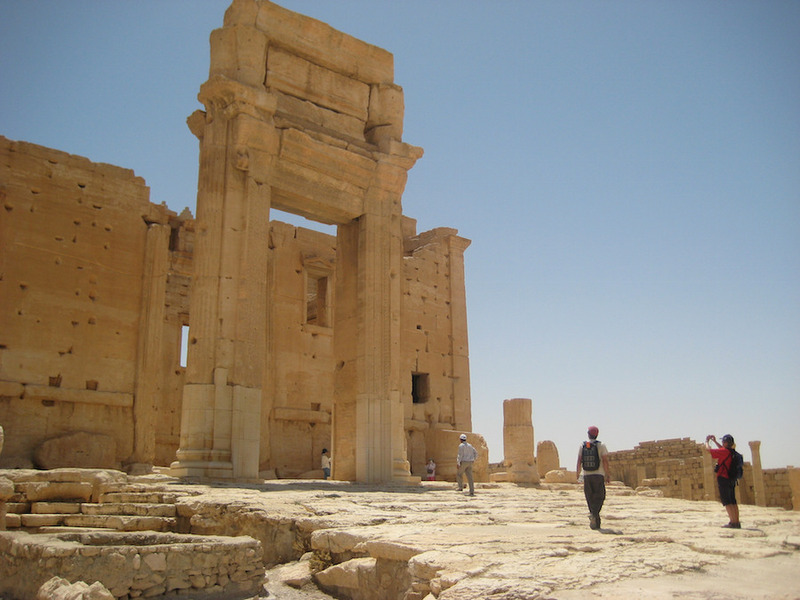 UNESCO, officially the United Nations Educational, Scientific and Cultural Organization, is known mainly for naming and overseeing World Heritage Sites, a list that includes over 1,000 protected natural and built environments of great importance to humanity. 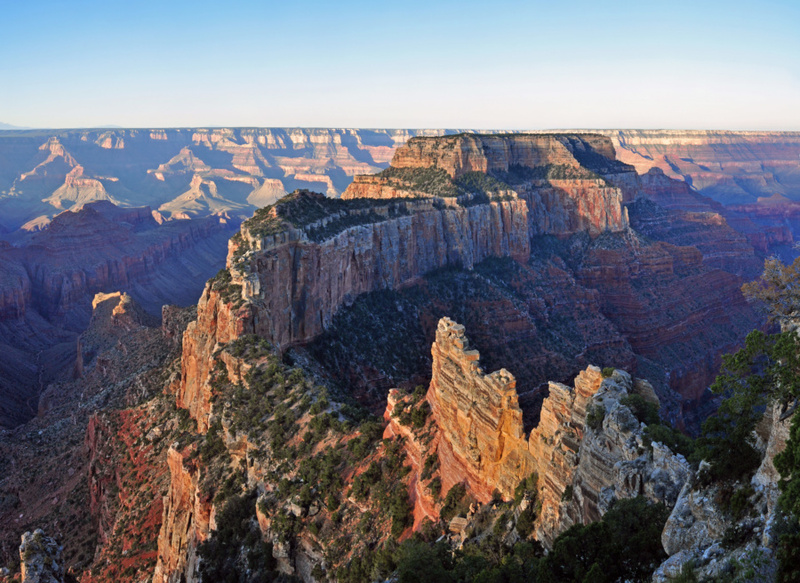 In the U.S., listed sites include the Statue of Liberty and Independence Hall, as well as national parks like Yellowstone and Yosemite. Worldwide, UNESCO also promotes education, gender equity initiatives, access to culture and science, and the pursuit of liberal democratic ideals like freedom of expression. The U.S. will withdraw on December 31, 2018, but will remain active in the group as a nonmember observer. How can you create an architecture that hides in plain sight? 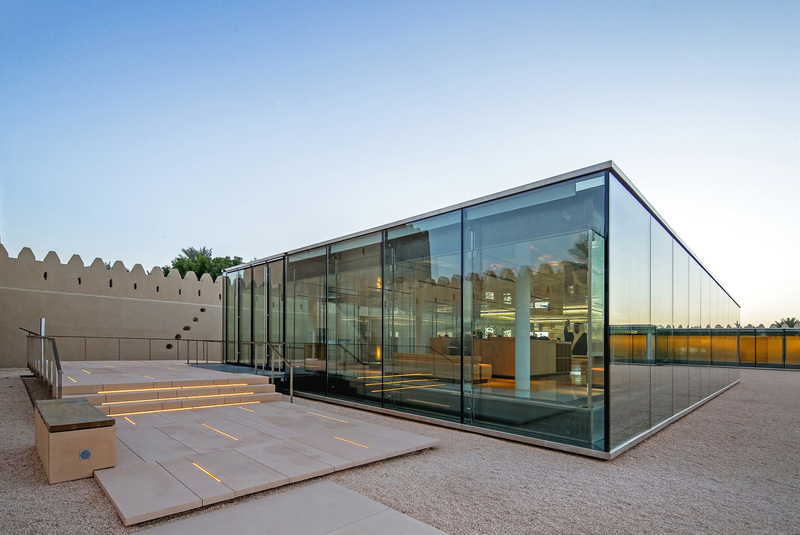 This was the task of architects at Boston-based Machado Silvetti who recently completed an adaptive reuse and addition to a historic fort and grounds within the city of Al Ain, about 100 miles south of Dubai on the border between United Arab Emirates and Oman. The project provides an exhibition facility that will help to preserve, and provide access to, collections relating to Gulf history. 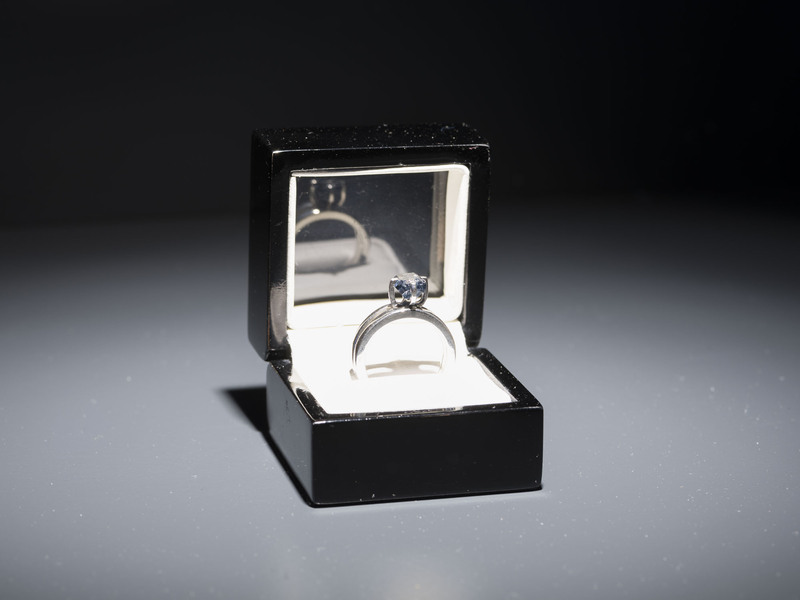 In her latest multimedia work, American artist Jill Magid has converted the cremated ashes of Pritzker Prize-winning Mexican architect Luis Barragán into a two-carat diamond. The Proposal, as the overall work is known, incorporates Magid’s long-running engagement with public access, institutionalized power, and artistic legacy by orchestrating a trade between the Mexican government, Barragán’s estate, and Federica Zanco, Director of the Barragán Foundation, in order to return a key component of Barragán’s archives back to his native Mexico. Barragán originally divided up his archives into two separate components. One, consisting of his home in Mexico, the UNESCO World Heritage Site Casa Barragán, and personal archives, remains intact in the architect’s home country. The second, a professional archive including rights to his name, works, and all photographs taken of his architecture, were purchased by Chairman and heir of Swiss furniture company Vitra Rolf Fehlbaum in 1995 as an engagement present for Zanco, then his girlfriend, and have been stored out of public view in a vault in Switzerland ever since. Magid’s work pivots on the artist’s ability to strategically cultivate personal relationships with wealth and power in order to subvert the structures of corporate ownership. In a press release for the project, Magid explained the impetus for the work: “What happens to an artist’s legacy when it is owned by a corporation and subject to a country’s laws where none of his architecture exists? Who can access it? 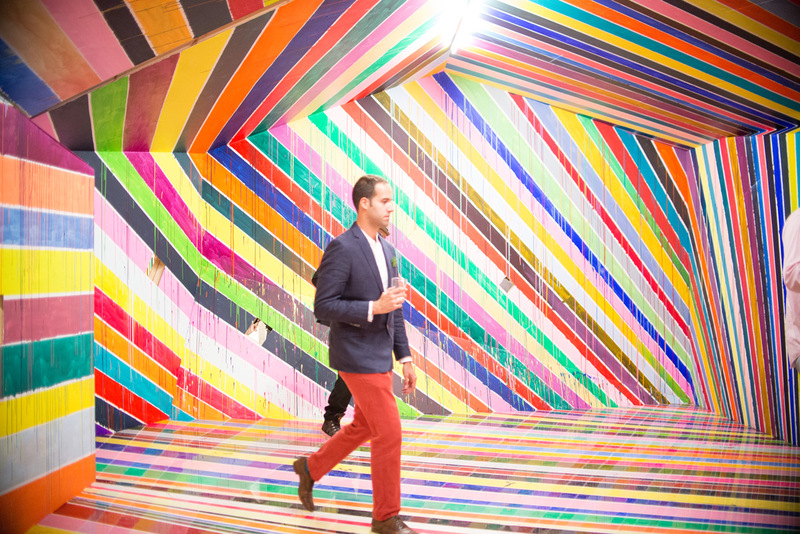 Who can’t?” The Proposal was commissioned by San Francisco Art Institute (SFAI) and exists as an art exhibition curated by Hesse McGraw, SFAI Vice President for Exhibitions and Public Programs. Magid’s work is currently on view at Kunst Halle Sankt Gallen in St. Gallen, Switzerland until August 21, 2016 after which it will make its American debut at SFAI on September 9, 2016. 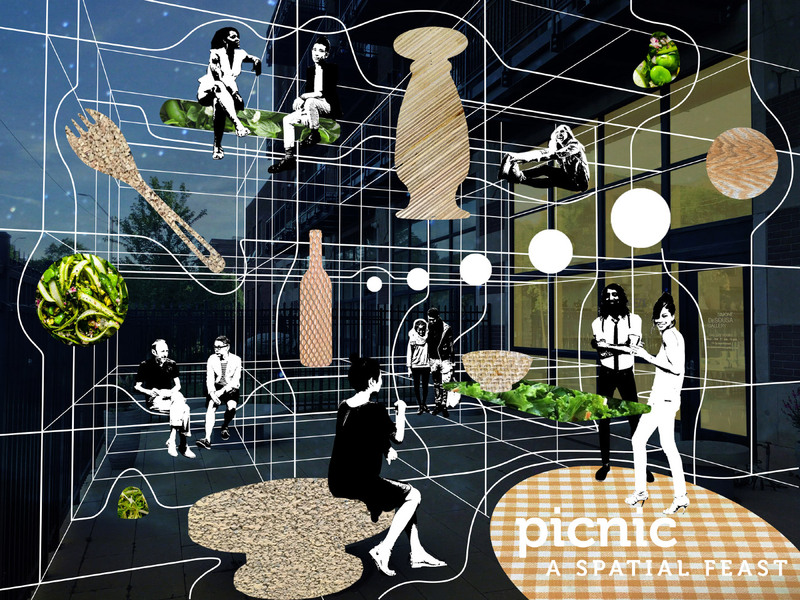 The Proposal will also be presented at the Oslo Architecture Triennale 2016, opening on Sept 8, 2016. 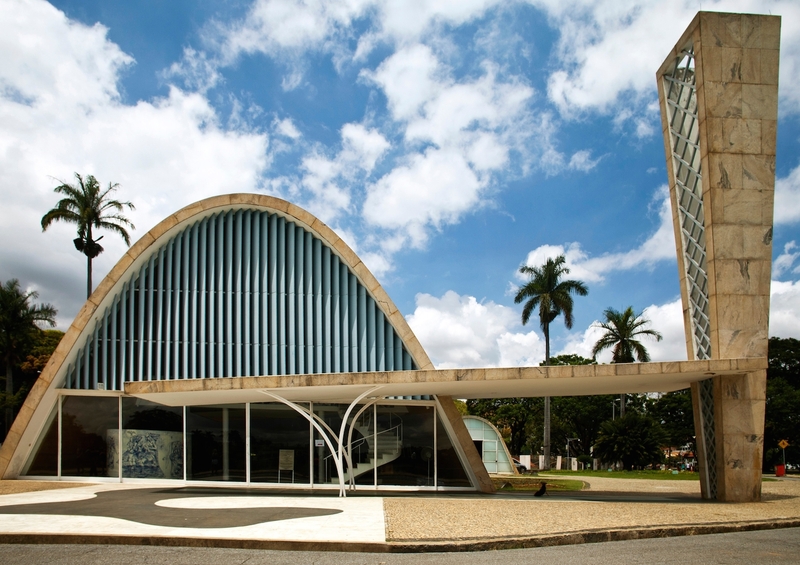 The Pampulha Modern Ensemble, designed by Oscar Niemeyer, is among UNESCO's most recent additions to their World Heritage List. The project is representative of Niemeyer's contributions to 20th century architecture and a historically important example of modernism. Constructed around the man-made Lake Pampuhla in Brazil, the Pampuhla Modern Ensemble is a collection of leisure buildings built as part of an initiative to develop a suburban neighborhood around the lake. The complex includes a ballroom, yacht club, casino, a church, and a weekend retreat for the mayor. Pampuhla was one of Niemeyer's first projects, developed in 1940 when the architect was 33 years old. 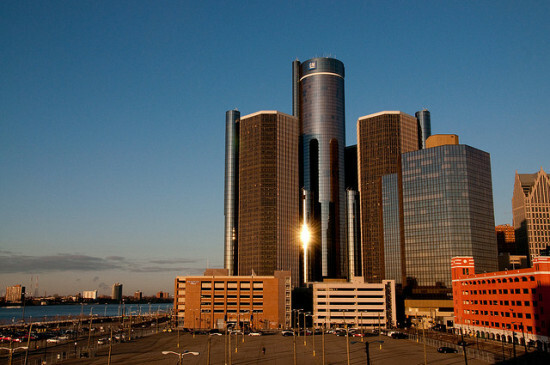 In fact, many consider it to be the first major example of modernism in the country by any architect. For the landscape of the complex, Niemeyer collaborated with landscape architect Roberto Burle Marx, the first of several collaborations between the two pioneers of the modernist movement in Brazil. The buildings in the complex exemplify several of the design principles indicative of Niemeyer's work. One is the use of curved rather than straight lines, as seen in the domed cathedral and the freeform shapes of the ballroom. Another is the use of reinforced concrete as a building material, especially on the cathedral, which was considered innovative at the time. Its inclusion in an exhibit of Brazilian architecture at the MoMA brought the project international acclaim. Almost 50 years later, in 1988, Niemeyer was the recipient of the Pritzker Prize. His most famous work is within the city of Brasilia, which was founded in 1960 as the new capital of Brazil. Here Niemeyer designed the Cathedral of Brasilia as well as its Congress building and the Palacio de Planalto, the president's workplace. Brasilia is also a designated World Heritage Site, and the cathedral is especially considered to be a masterpiece. Niemeyer's work at Pampuhla, in fact, led to the architect working on Brasilia later in his career. The Pampuhla project was started by the mayor of Belo Horizonte, Juscelino Kubitschek, who would go on to be President of Brazil from 1956-1961. As president, Kubitschek would be responsible for the construction of Brasilia, and for hiring Niemeyer and urban planner Lucio Costa for its design. According to UNESCO, the project is a significant example of Niemeyer's ability to blend modernist architectural principles with the project's location, and shows the influence of Brazil's distinct climate and culture. Niemeyer was heavily influenced by Le Corbusier, whose work was also included on the World Heritage List in the latest round of additions. On Sunday, UNESCO designated 17 works of Le Corbusier—in Argentina, Belgium, France, Germany, India, Japan, and Switzerland—to be on their World Heritage List. One of the sites included in the designation is the capital complex in the city of Chandigarh in India, for which Le Corbusier designed the master plan and several key buildings such as the courthouse and university. His plans continued the work started by American planner Albert Mayer, who left the project in 1950 when his partner, Matthew Nowicki, died in a plane crash. Chandigarh was completed in 1960 and is still the capital city of the state of Punjab. As a whole, the 17 sites included in the UNESCO designation are a testament to Le Corbusier’s influence on 20th century architecture and urban planning. Also included are the iconic Unite d’Habitation de Marseille and the National Museum of Western Art in Tokyo. 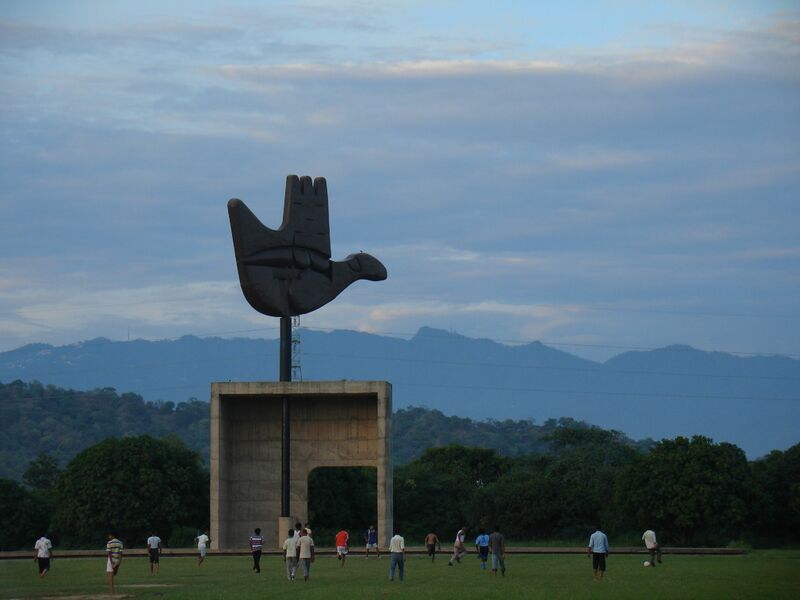 In 2015, the BBC ran an article calling Chandigarh “the perfect city.” A large "Open Hand" sculpture on the site is a testament to the architect's philosophy of peace and unity. However, like most of Le Corbusier’s work, it has had its share of critics. The site also faces preservation issues. The new UNESCO designation will help protect the architect’s work and preserve his legacy for future generations. More details on the new Le Corbusier UNESCO World Heritage Sites can be found here. 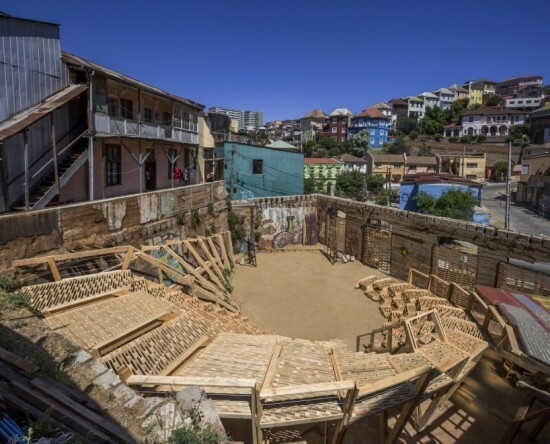 Sitio Eriazo—a Chilean collective of recent graduates from theater, art, and architecture schools—worked with the Oslo School of Architecture and Design's Scarcity and Creativity Studio to recover an abandoned urban space in Valparaíso, Chile. First, the team cleared waste to attract less vermin, and provisional closures were installed in the four points of street access. Then, the Wave—a flexible performance space for theater, circus, and music—was installed. Wooden stairs and seating sit upon staggered ribs and beams. Underneath of the undulating seating is a semi-shaded space where food is grown, prepared, and distributed to audience members. Currently, Sitio Eriazo's audiences reach up to 100 people. The Wave is also a space for workshops and community projects. Sitio Eriazo uses workshops to promote art and cultural activities and to strengthen Valparaíso's local identity. In 2003, Valparaíso was titled a UNESCO World Heritage Site. UNESCO described Valparaíso as, “In its natural amphitheatre-like setting, the city is characterized by a vernacular urban fabric adapted to the hillsides that are dotted with a great variety of church spires. It contrasts with the geometrical layout utilized in the plain. The city has well preserved its interesting early industrial infrastructures, such as the numerous ‘elevators’ on the steep hillsides.” Sitio Eriazo and the Scarcity and Creativity Studio not only recovered Valparaíso’s heritage within an abandoned lot but have made it a tool for cultural growth.